Meeting participants break out into groups for discussions on health-related issues facing Bronx residents. 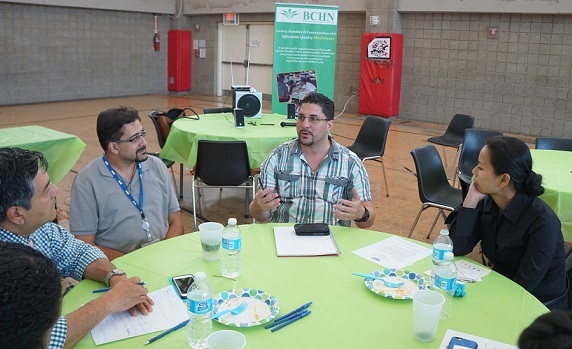 BRONX, N.Y.— Bronx Community Health Network, Inc. (BCHN) held a Community Engagement Meeting at the Bay Eden Senior Center on Wednesday, August 12, 2015. The event drew representatives from the Bronx REACH CHAMPS coalition partners, community organizations, health centers, Montefiore Medical Center, and the New York City Department of Health. Representatives from area legislators were also on hand to lend their support. A representative for Assembly Speaker Carl E. Heastie relayed the message that Mr. Heastie applauds the focus on the north east Bronx communities, where health problems and needs are often masked by perceptions of middle class status. 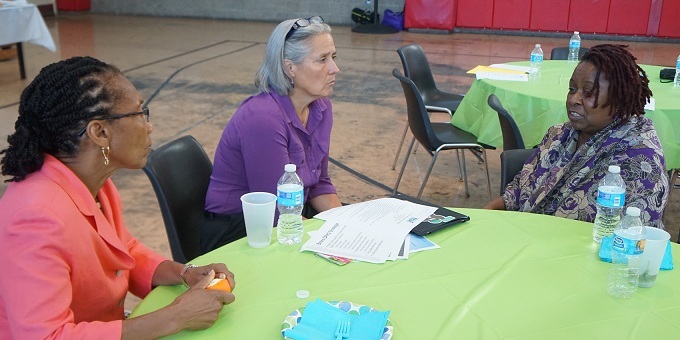 Attendees participated in community engaging conversation about health issues facing Bronx neighborhoods. This was the first in a series of meetings that BCHN will be holding to open discussions about optimizing access to affordable, quality healthy foods, and options for physical activity for all Bronx residents, and physical activity policies and strategies to combat obesity. The next meeting is being planned for September in Mott Haven. 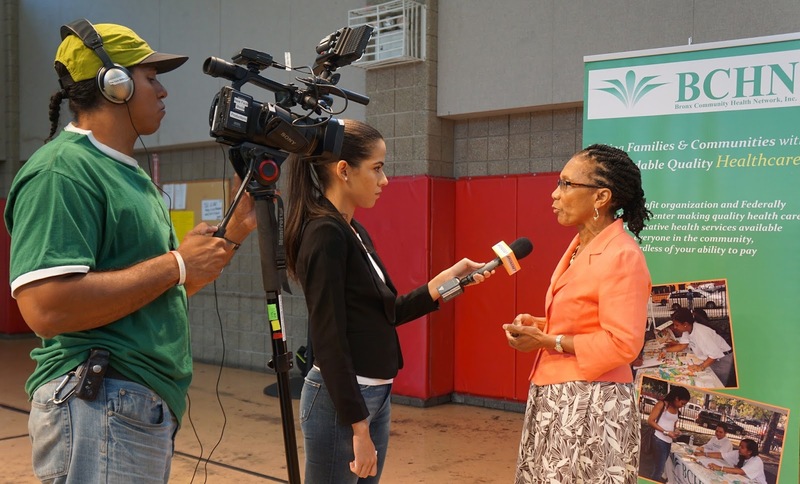 “I believe these conversations will lead to broader collaboration and creative ideas that will ultimately have a significant impact on the way Bronx residents think about their open park spaces, the foods they eat, their health, and the way they take care of themselves,” said Eleanor Larrier, BCHN CEO. discussions on health-related issues facing Bronx residents. In 2014, BCHN was awarded a $3 million REACH grant by the Centers for Disease Control and Prevention (CDC). The Racial and Ethnic Approaches to Community Health (REACH) is a national program administered by the CDC, aimed at reducing health disparities in communities of color.